Keeping inclusion at the heart of what you do, while maintaining excellent levels of progress for all pupils: is such a thing possible, and what do the numbers tell us? In the first part of this series we considered what the term ‘inclusion’ constitutes in the modern day, and in the second we looked at the views of the young people themselves. In this post, we will consider the ability of schools to maintain an inclusive ethos in the current climate of wider educational pressures. I don’t pretend to offer a solution through this post. Instead, I merely look to highlight some of the key issues and support the view that being inclusive doesn't preclude achieving high outcomes for all. Too often, a failure to be inclusive is excused as part of the ‘standards’ debate. In striving for a good league table position and improved inspection outcomes, too many schools feel they must deny disabled young people and those with complex SEN a place at their school. Even when some young people with SEND do secure a place at their local schools, illegal exclusions blight their education. 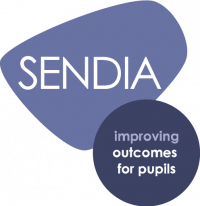 Overall, young people with SEND often have to fight for their basic human right to attend a school of their choice and be given equal treatment to their peers. I don’t pretend to be a data expert. Actually, the statistical outcomes for our young people with SEND are very much an ‘associated consequence’ of our inclusive values; we don’t start by looking at grades/academic outputs when planning for individuals, we look at the individual and what is right for them. However, it does show that you can be an inclusive school whilst still maintaining excellent progress for all young people. I am often at point to remind myself about inspection guidance – a young person’s age and starting point being key factors in this. It is important to stress that progress and attainment is all relative to the individual – that is what an inclusive system is about! You can be an inclusive school and have positive outcomes for everyone involved. Our inclusive approach has produced very positive RAISEonline results (all our SEND groups were deemed ‘sig+’) and our NEETS figure has been zero for the last two years. The important point is that you can still be an ‘outstanding’ school when adopting inclusive practices, if chasing an Ofsted measure is your main priority! Of course, this takes hard work: the creation of an appropriate, inclusive curriculum offer and a creative whole-school approach. Sadly, this is seldom of interest to headteachers and governing bodies that are looking for short-term gains and routes to purely academic successes. Perhaps that is what makes the world an interesting place: our different values and attitudes? Whatever your views on this issue may be, my views are quite clear. Firstly, when schools put in the hard work they create the conditions for success and opportunity; and secondly, young people with complex SEND can achieve success when properly included in their school communities. Are they included in yours? In the next part of this series, we will explore the views of parents and carers on inclusion.